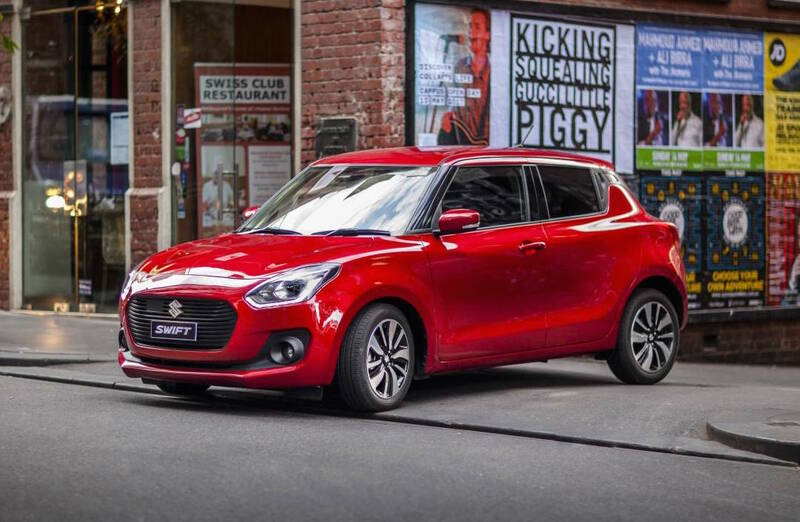 Suzuki Australia has recently announced the introduction of the-all new 2017 Swift in the Land Down Under, the model arriving in four variants and packing plenty of technology and new engines. We are looking here at a totally new car, standing on a new platform and featuring an exquisite design, which makes it more appealing than the previous generations. Australian customers can opt for the entry-level GL manual which costs $15,990, or can pay $17,990 for the same variant but with a CVT and satellite navigation. The other mid-entry is the GL with the safety pack CVT and satellite navigation for $18,990, while the top of the line GLX turbo with speed-transmission comes with a total of $22,990. Speaking of the new engines, the 2017 Suzuki Swift is equipped with a 1.2-liter naturally aspirated flat-four engine in the GL manual, GL with CVT and the GL with safety pack, with power standing at 66 kW and 120 Nm of torque. The GLX turbo, power comes from a 1.0-liter turbo three-cylinder engine, with 82 kW and 160 Nm of torque. It also comes with a six-speed automatic transmission. As for the new platform, this one is shared with the Baleno model, which makes it extremely light – this means 870 kg for the entry levels and 915 for the GLX variant. Amongst the car`s top features we should also add Bluetooth connectivity, cruise control, or six airbags, all now available in the entry-level variant. The mid-entries and the top of the line are also equipped with 7.0-inch touchscreen interface with Apple CarPlay and Android Auto, satellite navigation, and a wide choice of safety features.